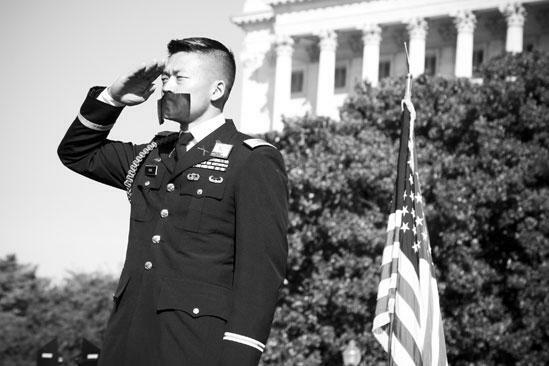 Lt. Dan Choi, dishonorably discharged from the military due to his sexuality, salutes while silenced by tape. Later, he encourages the crowd to keep fighting. "Love is worth it."